Gasek Farms in Ellington CT, undoubtedly, has the most amazing prices in the area for beautiful luxury homes. When looking for homes in Ellington, CT you will find these Santini-built homes are now at the lowest prices they have been in years. One of the most attractive sought after communities in Connecticut, Gasek Farms consists of approximately 65 homes. These Gasek Farms homes were built beginning in 2000 with the latest being completed in 2012. These gorgeous luxury homes boast large open floorplans ranging from 2500 to 3500 square feet. With public utilities, these homes offer central air, natural gas heat and hot water. These beautiful colonial homes have 8 to 10 rooms of quality built living space offering many unique architectural features. Homes in Gasek Farms offer large open floorplans, include a kitchen that features granite countertops and stainless steel appliances. Master bedrooms include either tray or cathedral ceilings and walk-in closets. The master bath offers a whirlpool or soaking tub and vanities with dual sinks. Some additional features may include central vac, recessed lighting, home security system, and second floor laundry. Many homes have a full walk out with glass doors. Gasek Farms homes are located on ¾ to 1 acre lots with views overlooking rolling hills and meadows. Originally part of the Town of Windsor, the Town of Ellington was incorporated in May 1786. Mostly known as an agricultural community, Ellington remains a very rural community. As it enters the 21st Century, Ellington has had the 6th fastest growth rate of all the towns in Connecticut, and has been experiencing changes in growing from a rural farming town to a thriving community. These newer subdivisions like Gasek Farms offer the modern family all the amenities and conveniences they are looking for, while keeping the rural community feeling. Situated in Northeastern CT, the Town of Ellington has an abundance of open space including the Shenipsit State Forest and Crystal Lake. Part of the Shenipsit State Forest, the Soapstone Mountain tower is a favorite spot that offers spectacular views every season and boasts views to New Hampshire and Vermont on clear days. Crystal Lake offers 200 acres of scenery and an abundance of plant and wildlife. Crystal Lake offers swimming and boating and provides summertime fun for both locals and visitors. The Town of Ellington maintains its rural character and provides many opportunities for growing families. Known for their great schools, Ellington CT provides a great atmosphere for children of all ages to learn and grow. Gasek Farms is located in the Windemere School district. In 2008, the Indian Valley YMCA was built about two miles from Gasek Farms. The “Y” is known for offering programs in youth development, healthy living and social responsibility. The YMCA has a state-of-the art fitness center, including a Group Fitness Studio, Cycling Studio, Indoor Lap Pool and Waterpark, and a Whirlpool/Steam/Sauna with Locker Rooms. The “Y” also offers childcare for members using the fitness facility. Living in Ellington CT you won’t have to look far to find fabulous shopping and restaurants. The Shoppes at Buckland Hills or The Promenade Shoppes at Evergreen Walk in Manchester or Tri-City Plaza in Vernon and Enfield Square in Enfield are all within minutes of Ellington and offer any and all shopping and dining you could possibly imagine. There has never been a better time to buy a luxury home in Gasek Farms! 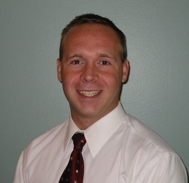 If you are looking to buy a luxury home at Gasek Farms in Ellington, CT call Jeremy Joslin at 860.748.9381. Jeremy is happy to provide you with more info on these and other Ellington luxury homes. Wow what a beautiful area and home. Best of luck on a quick and successful closing! Have a Terrific Week! Jeremy - Thank you for sharing another excellent blog about beautiful Gasek Farms homes for sale, Ellington, Connecticut.